Providing up to 24 hours care and around-the-clock love to the elderly, ill, and disabled. The prominent cause of gum diseases are the food particles that settle as plaques at the tooth’s base. When there’s no proper dental hygiene and care, gum diseases can easily develop. However, there are also other factors that trigger gum diseases, and these include one’s smoking habits, poor dentures, and diabetes. Closely associated with gum illnesses is the loss of the senior’s tooth or teeth. When their gums are not healthy, the teeth can easily be plucked off from their places. This condition is very common among seniors whose sense of thirst is already declining at their age. This can also be triggered by the past treatments they underwent such as radiation. Dry mouth happens because the saliva flow is being reduced due to low water intake. Dry mouth is also a prominent cause of bad breath. Without proper dental care, the tissue underneath the tooth’s enamel can darken due to the foods and beverage that were taken. Through the years, the enamel also thins down, exposing the dentin tissue, making it more prone to a darker appearance. As a person grows more mature in age, their sense of taste also changes, especially triggered by poor oral care, medications, and lack of proper denture care. This eventually leads to a lack of appetite, affecting a person’s overall health. Get your loved one checked by their dentist and our team providing in home care services in Oakland Counties, Michigan will assist them. 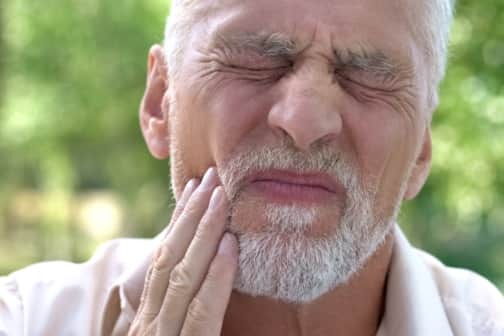 The occurrence of soreness in a senior’s mouth can affect their overall health and appetite. This instance is caused prominently by dentures that don’t fit well, along with poor dental hygiene and the building up of a fungus. Along with stomatitis, seniors can also experience thrush, which is a complication at the tongue area triggered by the increase of the Candida fungus. When your senior loved one doesn’t implement proper and quality hygiene care, thrush develops, which can lead on to gum diseases and tooth decay. Even in the senior years, you can take proactive control of your oral health. Remember to brush your teeth at least twice a day, ensure that your dentures are clean before putting them back on, and visit your dentist regularly. You might need help from providers of in home care assistance in Southeast Michigan for your hygiene care. Get some help when you need it so that you can always promote your overall well-being. At Heaven Sent Home Support Services, we always provide you with a quality home environment especially, in your aging years. This entry was posted in Senior Care and tagged Darkened Tooth, Lack of Appetite, Oral Care. Bookmark the permalink.